Hey, y’all! This is Pete, aka “Calves” (a moniker of endearment, I am assuming, given to all new Rattletree members…I hope), coming at you in my new role as blogger of everything Rattletree. 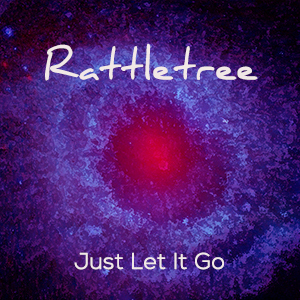 Rattletree is always changing, developing, and striving towards an ever-greater integration of sonic and visual media – all in deference to the deep musical traditions of our teachers in Zimbabwe. To this end, we have decided to try and maintain a more active presence here on the interwebs to give you, dear readers and listeners, an in-depth, behind-the-scenes look into all that we have going on. Whether it be news about upcoming or past gigs, an examination of our compositional method by showcasing new and in-the-works songs, a peak into our rehearsal process, a broader reflection on music writ large, or a detailed description of a newfangled piece of technology with which we are experimenting, we hope these updates will be informative, insightful, and ultimately a way to offer our thanks to you. 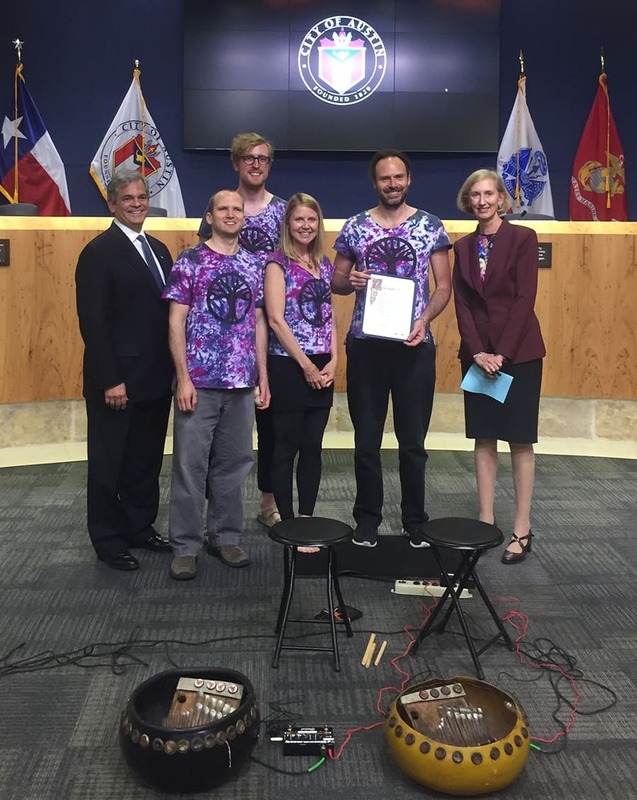 Well, to begin, we are still celebrating the wonderful honor that Austin Mayor Steve Adler conferred on us last week – the proclamation of April 20, 2017 as “Rattletree Day.” Presented during the city council meeting, Mayor Adler noted the singularity of the award and its presentation, relating that Austin “is the only city in the country that actually stops City Council meetings so that we can do music.” “Befitting,” he continued, “of the live music capital of the world.” We were, on that account, thrilled to be able to play for a few minutes prior to Mayor Adler’s reading of the official proclamation. Given the intimate setting, we decided to leave the marimbas at the studio; Joel and I, instead, played mbira while Kristin and Michael held it down on hosho shakers. We performed one of the so-called “big songs” of the mbira repertoire, “Nhemamusasa.” Below is a brief clip of our performance – notice the great close-up shots of our hands playing the mbira inside our deze projected on the back wall (the meeting was broadcast on several local and cable channels). Here is Mayor Adler reading the “Rattletree Day” Proclamation. Alright, that about does it for now. We are busy preparing for our Hurst Masterworks Concert Series performance in Dallas this week. Stay tuned for an update about that show AND a look at the direction we are going with some of our new material.